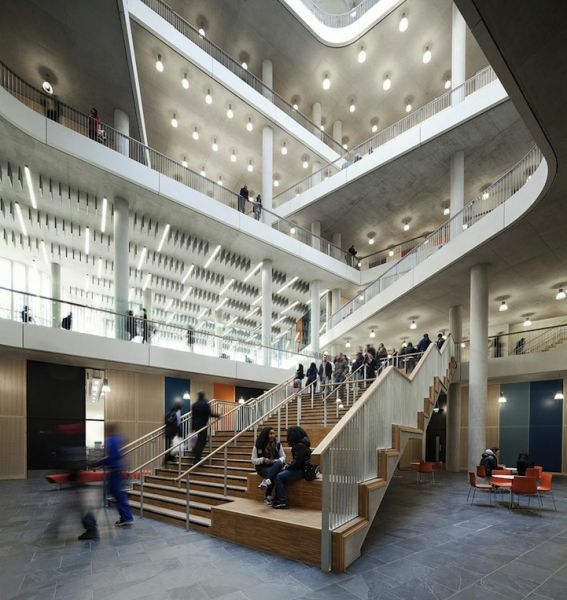 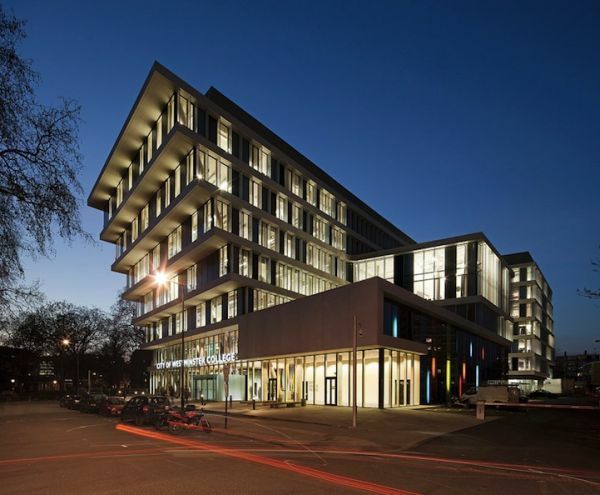 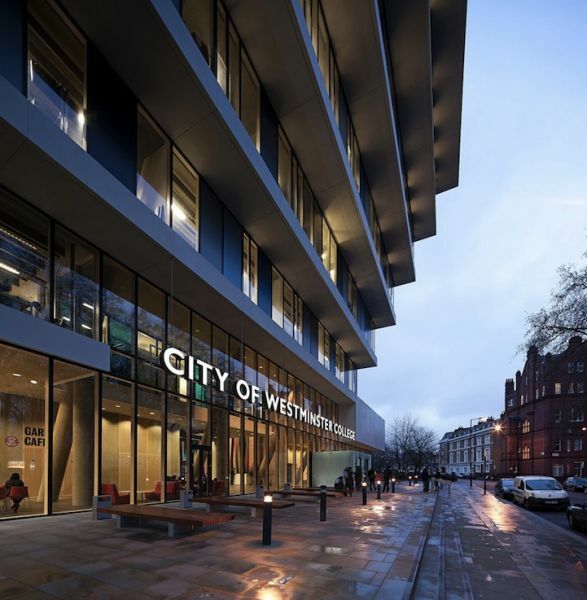 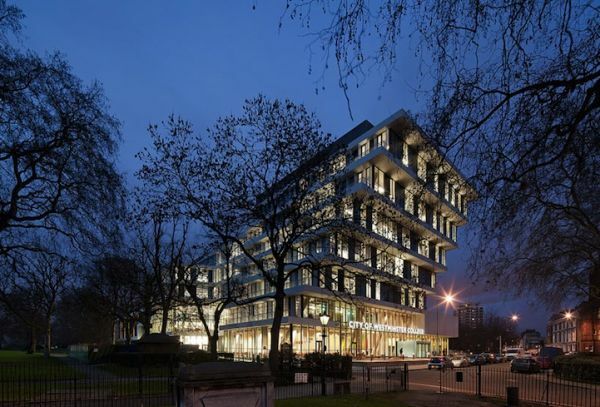 new campus for the City of Westminster college by architects Schmidt Lassen designed to support new ways of teaching and learning. 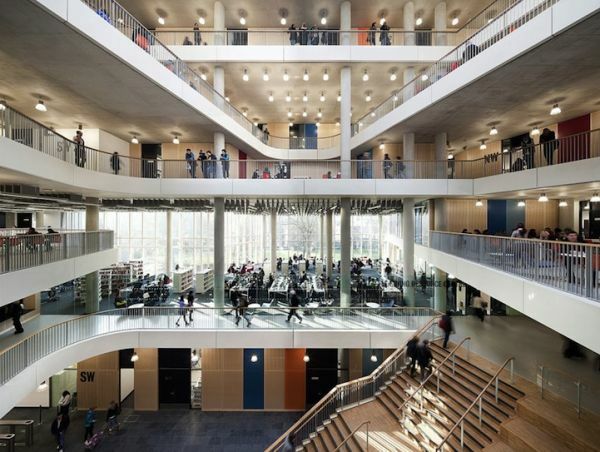 Universities and colleges 258 000 sq ft (24,000 sq m) to provide larger quantities and open learning space than a typical college in the UK, and is designed to embrace the interaction and diversity. 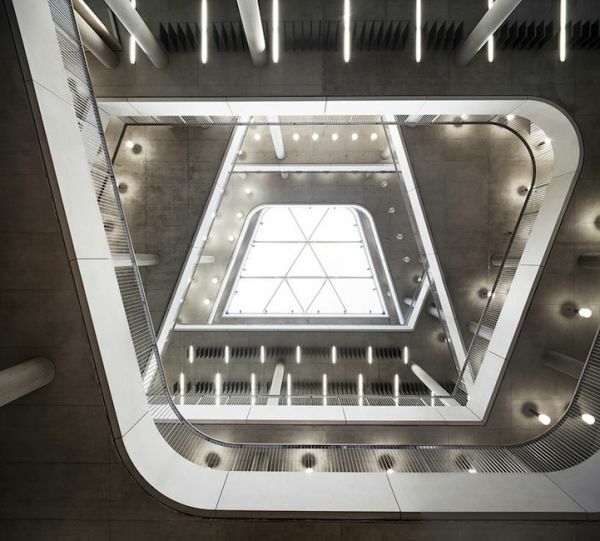 This building includes exhibition areas, theaters, and cafes.